Australoheros facetus is a neotropical cichlid and an exotic species in the Guadiana and Odelouca basins (Southern Portugal). 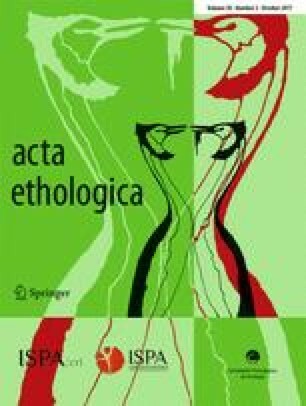 In this research, we aimed to characterize the main behavioural patterns and circulating hormones, 17β-estradiol (E2) for females, and testosterone, 11-ketotestosterone (11KT) and cortisol for both sexes, during the formation of social groups, a crucial step in the life-history of A. facetus. A pair-breeding strategy with territorial behaviour and aggressive interactions was found, with a positive correlation between dominance and size for both sexes. There were no significant differences between non-territorial and territorial individuals in the baseline levels of hormones, but 11KT was higher in males when they became territorial, as E2 for territorial females, while there was no clear pattern for testosterone. In contrast, cortisol was higher in non-territorial males and correlated negatively with social dominance. These results suggest that size is the main driver for social dominance and that formation of stable hierarchies result in higher circulating 11KT and lowers stress in territorial males. Related to A. facetus’ behaviour, aggressiveness and biparental care may be an advantage during the invasion process of A. facetus, facilitating colonization of new habitats. FB received a doctoral fellowship from the National Council for Technological and Scientific Development of Brazil (CNPq), Program Science without Borders (245971/2012­2). The FCT—Foundation for Science and Technology provided national funds through project UID/Multi/04326/2013 and a fellowship (SFRH/BPD/67008/2009) to JLS. The authors would like to thank Elsa Couto, Filipe Ribeiro and Carlos Carrapato for laboratory and logistic help. Fish collection in the wild was performed under licence from the National Institute for Nature Conservancy (ICNF) and CCMAR facilities; their staff and the authors are certified to house, design and conduct experiments with live animals by the Veterinary General Directorate, Ministry of Agriculture, Rural Development and Fisheries of Portugal (DGAV) in accordance to the three ‘R’ policy and national and European legislation.